Nothing more fun than bug in vm ware causing disk corruption and leaving your model database suspect. You can run in this state, as long as you don't create a new database and as long as your server doesn't reboot or SQL server service stop and start, as when SQL Starts back up, it will have an issue with model database. Standard TSQL Statement, Restore database model from disk = 'some location' with recovery. 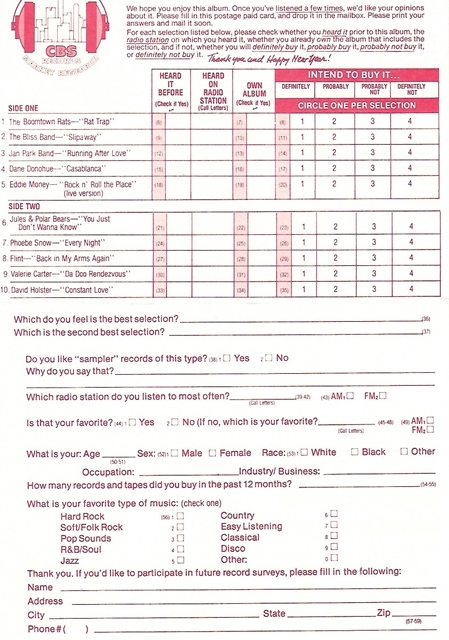 What this has to do with Record Rater, I have no idea, but I found this cool old record and it even still had the survey card... Big Red Music.